KOMPAN play institute | ROPE PLAYGROUND TO YOUR NEXT PROJECT? New 2019 COROCORD catalogue - Available now! ROPE PLAYGROUND TO YOUR NEXT PROJECT? Each and every day for over 45 years, we’ve been striving to create the ultimate play experience with rope playgrounds. 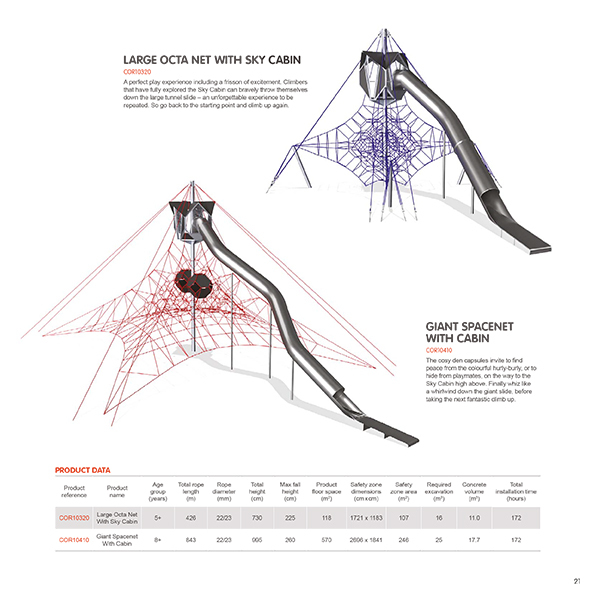 For this year’s catalogue we’ve turned our attention to new inspirational playgrounds. Whatever you’re looking for, we hope our new ideas will inspire even more play and fun! The best part? With ropes, any shape, colour, size and play theme is possible.